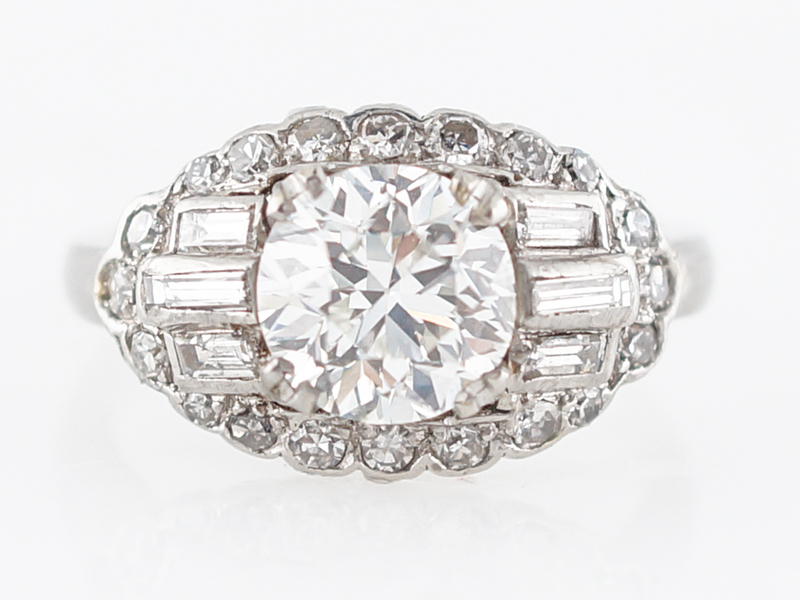 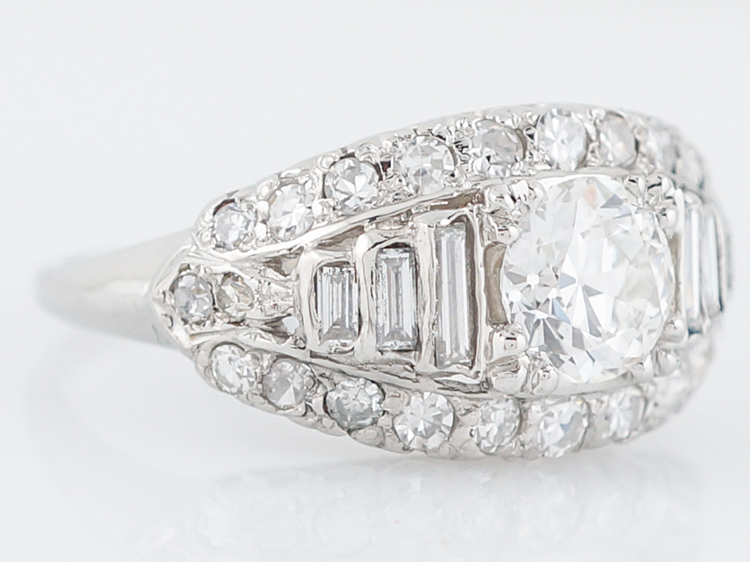 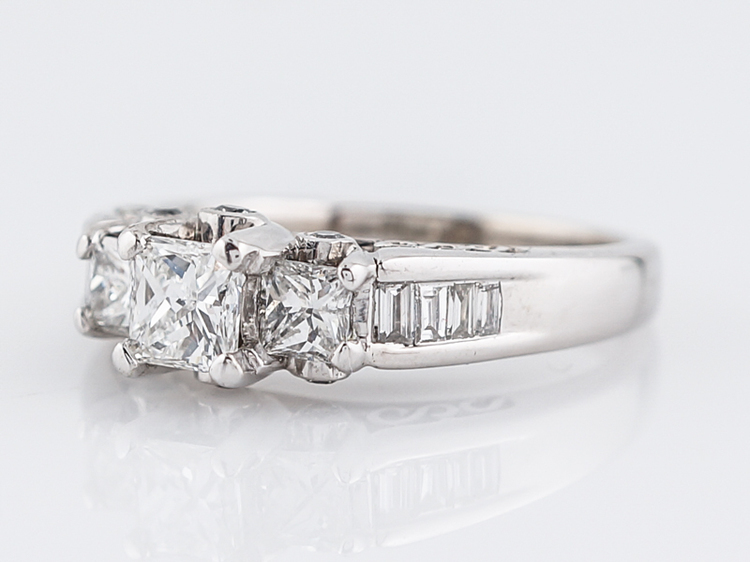 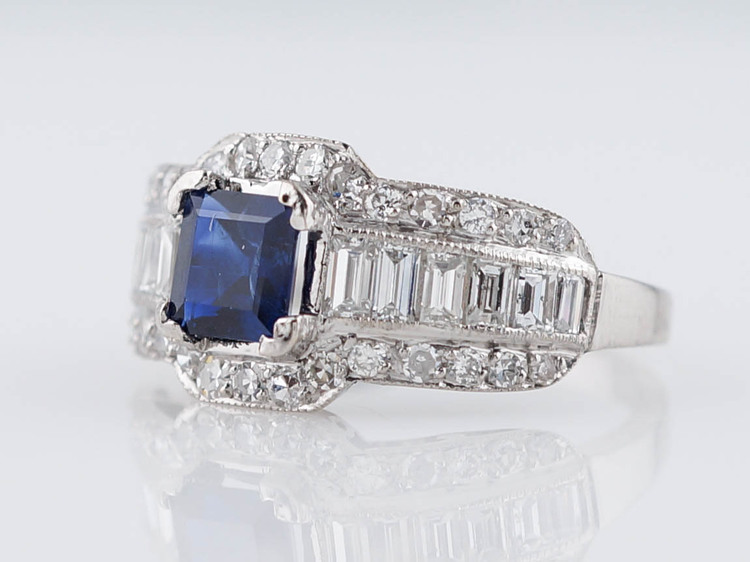 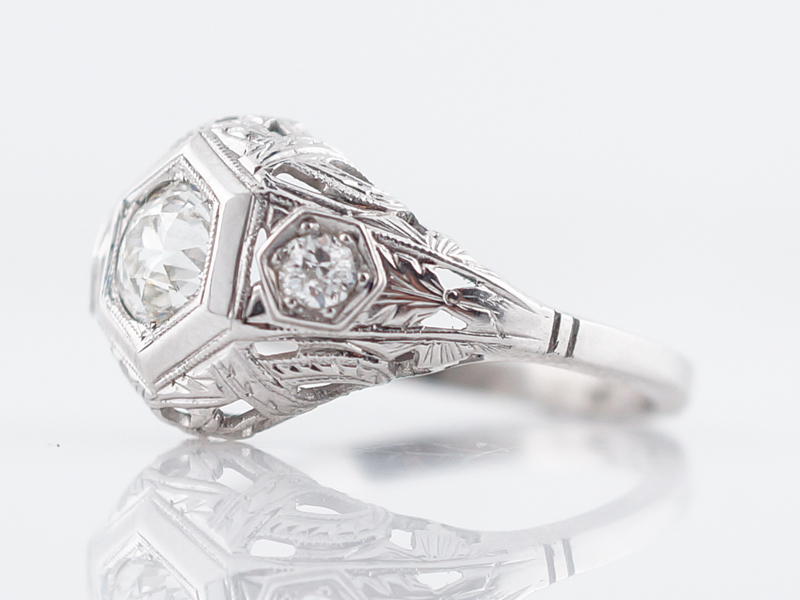 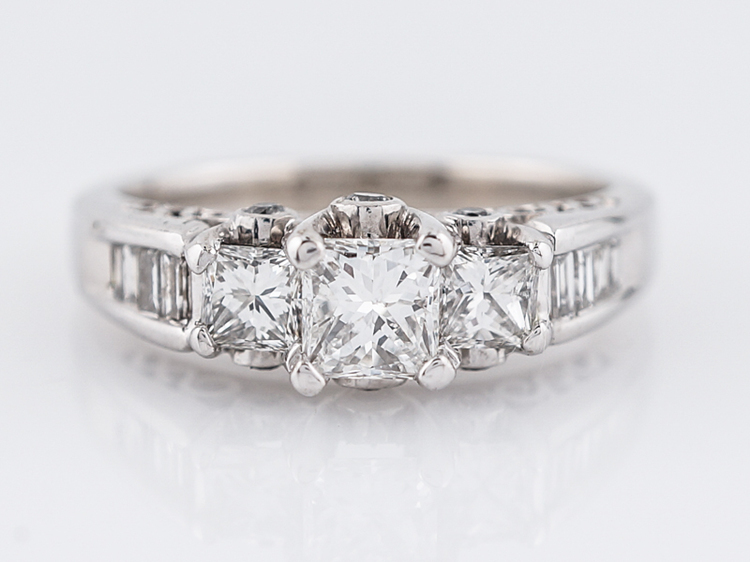 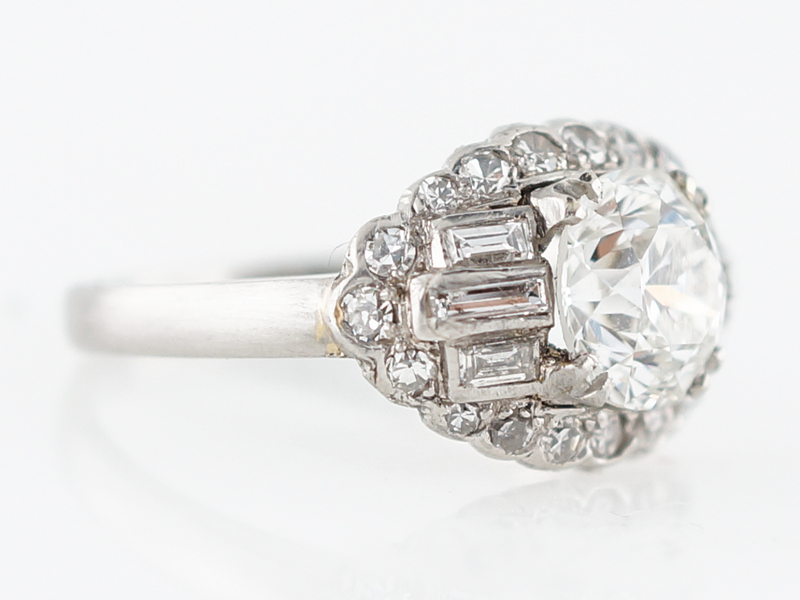 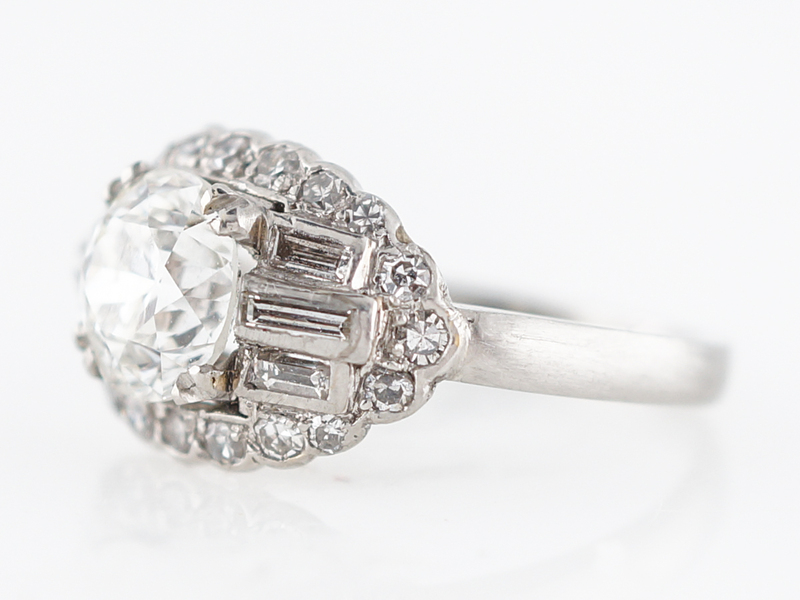 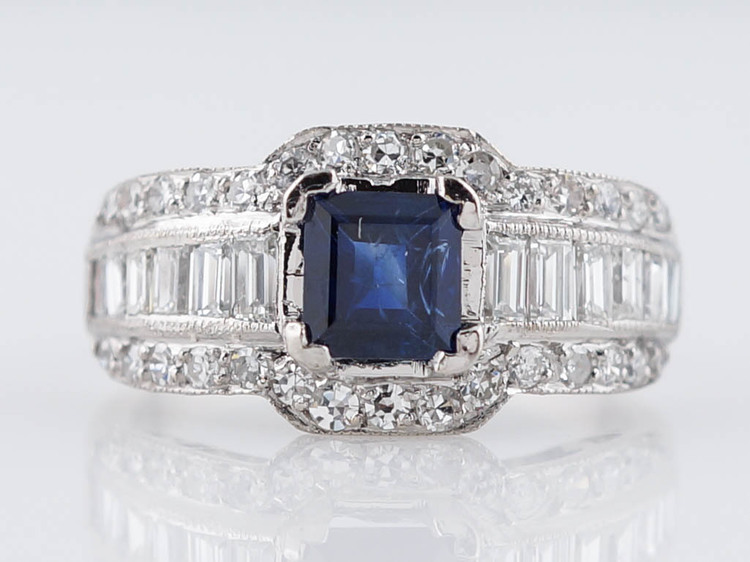 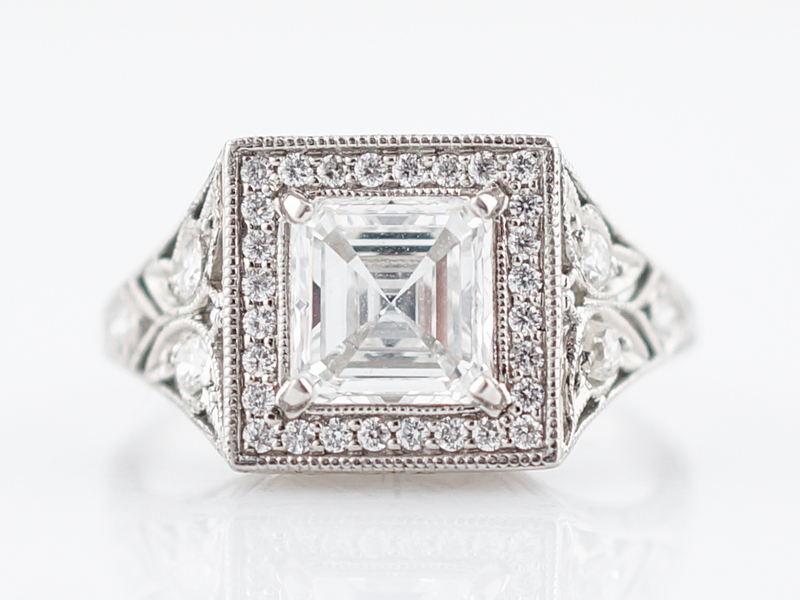 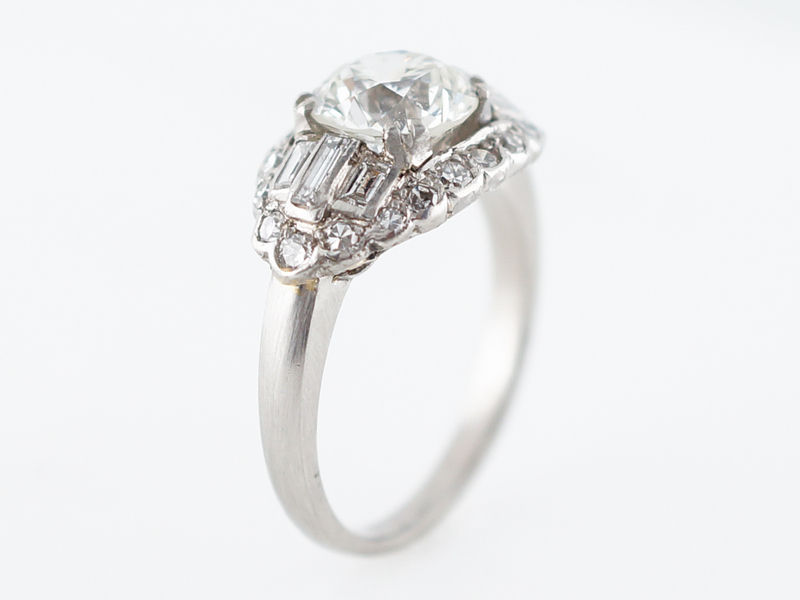 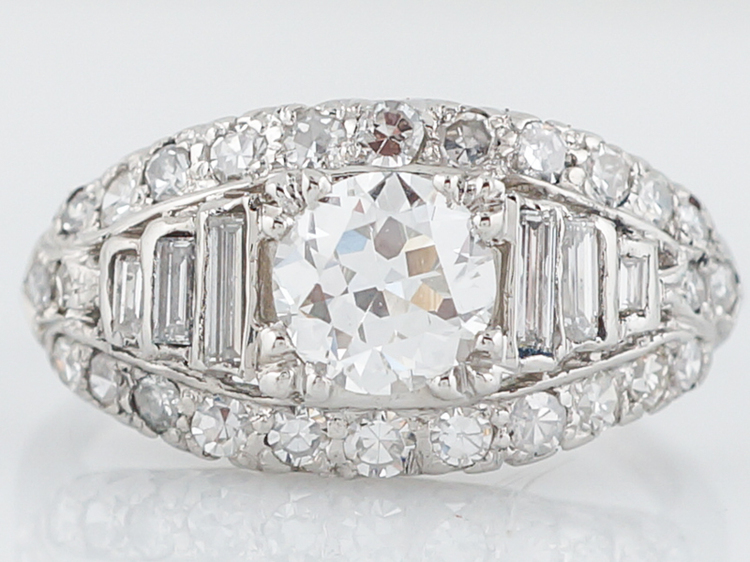 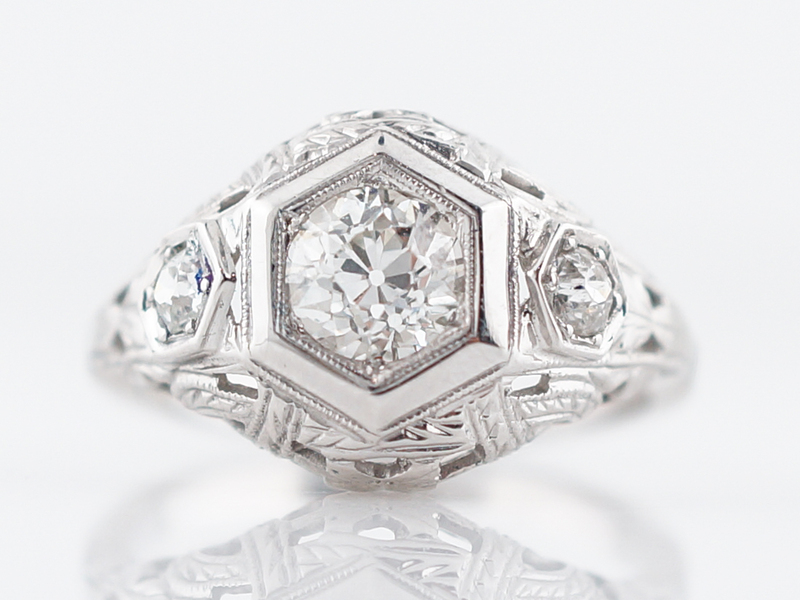 This Antique Engagement Ring holds a 1.49 carat Transitional Cut Diamond. 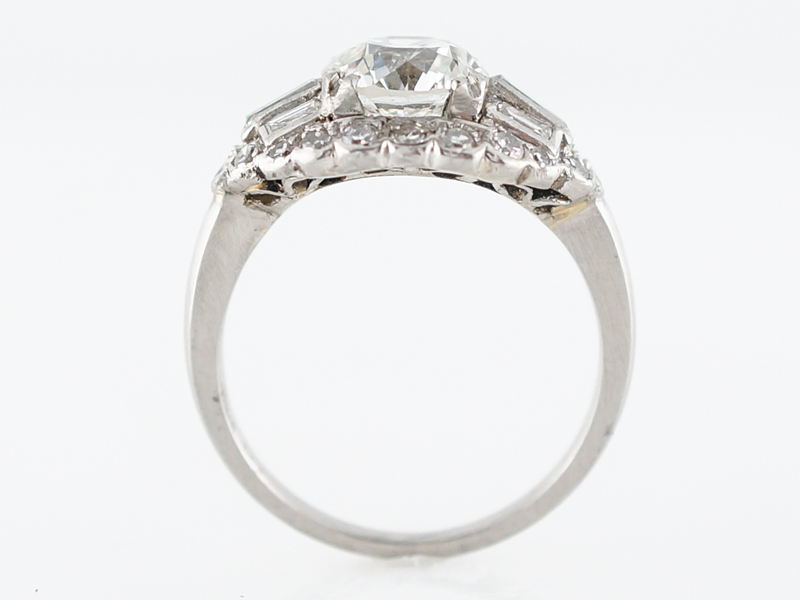 This particular cut is a descendant of the Old European Cut diamond and The Transitional Cut marks a progressive step toward the techniques used in faceting Round Brilliant Cuts. 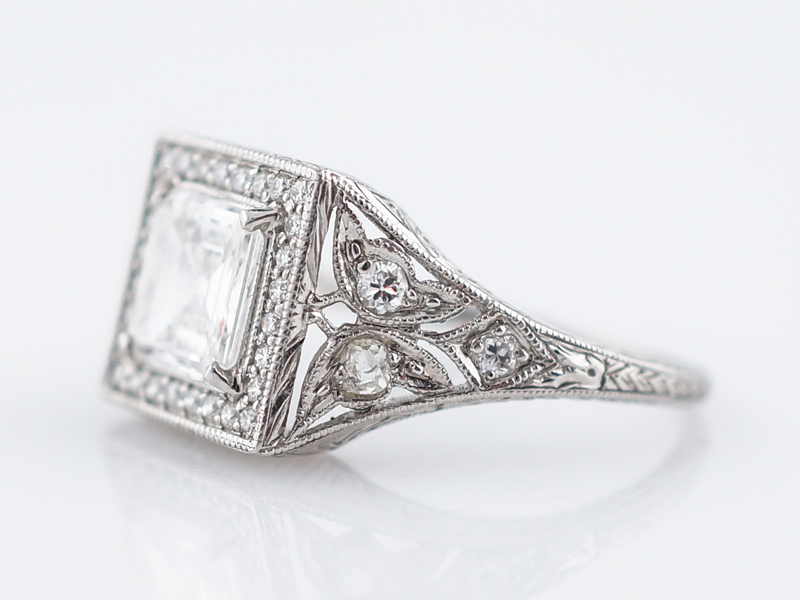 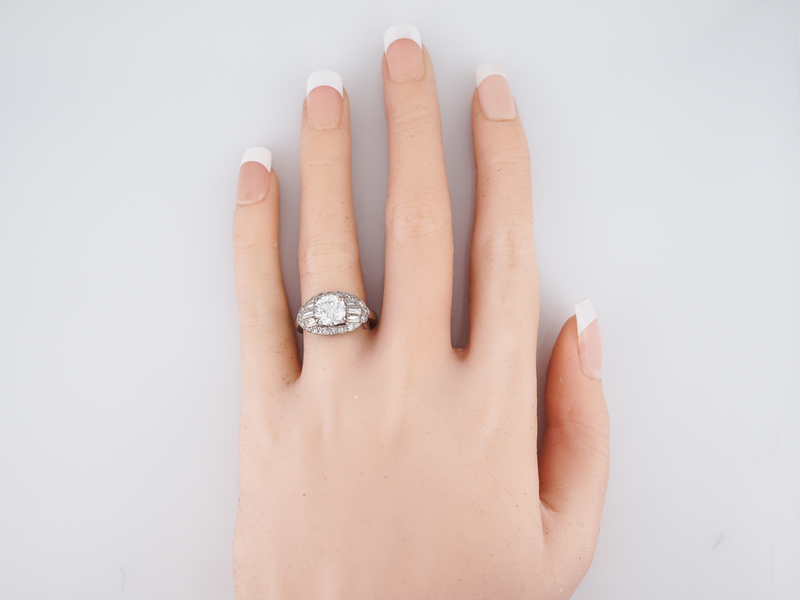 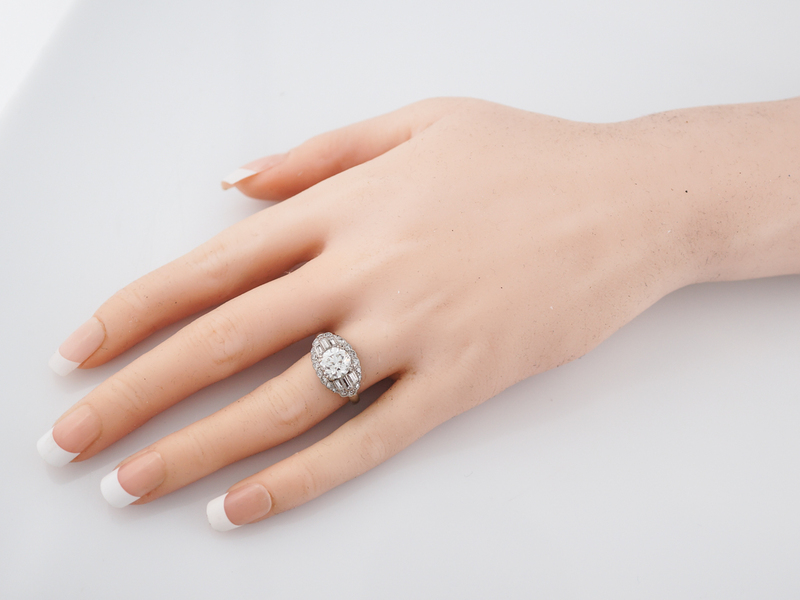 This Art Deco Engagement Ring is mounted in platinum and also incorporates Baguette Cut diamonds and a lovely elongated halo to complete this elegant and distinguished Antique Ring.